Without you, it would be no AKOU – period! 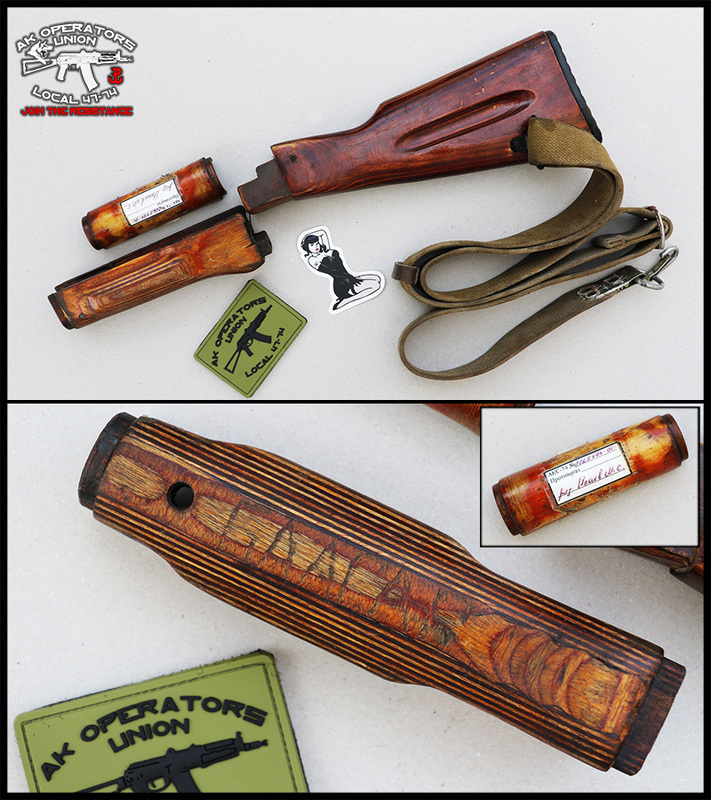 Here is little gift for you: we are giving away original Russian AK74 (could be used on AKM as well) wood set with original Russian sling. It is used kit, but with tons of character! Winner will also get AKOU patch and AK Whore sticker! All you have to do is post something underneath of this post AND SPREAD THE WORD ABOUT THIS POST PLEASE! Winner will be randomly selected on: Monday, September 5th at 7pm CT. Result will be posted here and at our Facebook page. Nathaniel, please message me ASAP so i can pack this wood set, sling, sticker and patch and mail it to you tomorrow! Big thanks to all who participated! Palmetto State Armory AK47 – PSAK47 Gen 2: 2000rds later! Zastava NPAP, Rounds Count: ZERO! Radical Firearms AR-15 – Last episode: Closure! Palmetto State Armory AR15 Freedom: 1000rds later. Can it keep up with their AK? ISIS Goat Fucker – Annihilator! New AKOU video is out! Palmetto State Armory AK47 – PSAK47 Gen 2: 1000rds later! Palmetto State Armory AK47 – PSAK47 Gen 2 Under the Hood! What If Hillary Wins?! How is American going to look like under Hillary Clinton? New AKOU video is out!